When Health & Safety International contacted me regarding my interest in writing the feature article, “Safety for Refinery Workers” for this issue of their publication I was delighted with the opportunity. My thirty three years in the oil refining business in Senior Process Operations, Safety & Loss Management and now in Refinery Construction & Project Management gave me the experience necessary to put an article together. I spent the next few days gathering technical information in the areas of Worker Protection Codes, Safe Work Practices and Procedures, Development and Use of Safe Work Plans, Safe Work Permit Systems, Working at Elevations, Working in Excavations, Working in Confined Spaces, Personal Protective Equipment and Clothing... just to name a few. I have developed and/or revised dozens of refinery safety manuals, written hundreds of safe work plans and thousands of safe work procedures and practices in my time. When I started putting all the information together the article took on the appearance of... yes, you guessed it... a condensed version of just another Safety Manual. Informative? Yes. But certainly very dry reading material. Every oil refinery in the world has a safety manual sitting on just about every second shelf and available at any time for your reading pleasure. This was not exactly what I wanted to present to you, the readers. The next morning, while shaving, it suddenly dawned on me that I was staring at the person most responsible for my safety... me! After all these years in the refining business I was still alive and well because I had accepted the responsibility of my own safety while performing my work. I had read the safety manuals, many times. My knowledge of and compliance to the plant’s safety rules, regulations, policies and safe work practices and procedures was just as important as accepting the responsibility for my own safety. 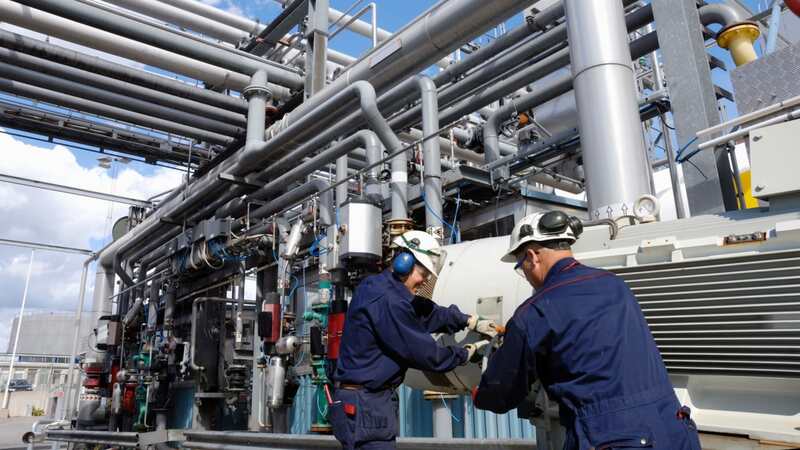 I am still going to highlight some of the key elements of some primary Worker Safety Protection Codes that are standard in the oil refining industries worldwide but it won’t be in Safety Manual format. Refinery Safety Programmes have certainly changed over the years. I recall more than three decades ago my first assignment as the only Safety Officer on a refinery turnaround with 2,500 workers. I was handed the primary tools of my new craft; a clip board with a pile of accident investigation forms attached and a pocket full of Band-Aids. The concept in those days was that if there was a Safety Officer around the job site would be a safer place to work. Unfortunately I was kept busy doing accident investigations, filling out accident forms, handing out Band-Aids for minor cuts and/or escorting injured workers to the site First Aid Facility the entire turnaround. During that thirty five day turnaround I don’t think I made it out to the field for an inspection more than four times. Accident investigations were done for injury related accidents only and were performed either in the Safety Office or at the First Aid Facility merely by asking the injured worker to relate what happened. Handing out Band-Aids to workers for minor cuts saved time as I was not required to perform an accident investigation or complete any forms. Any accidents involving equipment damage were not written up. The equipment was merely repaired or replaced. What was lacking was the specific training for workers to use much of this safety equipment and why some specific equipment and clothing should be used and/or worn. Also lacking was task specific safe work practices and procedures training for the refinery workers. Most importantly, what was lacking was any commitment by all levels of Management to ensure compliance to the Site Safety Programme. No one was really held responsible and accountable for worker safety. The Safety Officer position was primarily an administrative role and in many situations had next to no authority to take corrective measures to improve worker safety or take corrective action related to identified unsafe field conditions. There is no comparison to the way things were thirty years ago and the way things are now in relation to safety for refinery workers. Safety went from being just a word to a value that revolves around everything we all do everyday whether at work or at home. Safety went from being a reactive function of only responding to and taking corrective action to accidents and incidents when they occurred to a proactive Loss Prevention concept which prevents accidents and incidents from occurring. Somewhere between the reactive and proactive safety approach someone actually started to read and analyse all the accident reports and was successful in getting Management to realise that a properly administered safety programme was an investment rather than an overhead cost. The concepts of Loss Prevention later evolved into Loss Management which is a systematic Management approach towards the elimination of accidents and/or incidents that could result in worker injury and other downgrading incidents. It is a continuous, proactive approach to the reduction of risk to workers, materials, equipment and the environment. The Site Safety Programme now evolved to the Health, Safety & Environment Programme. Front line supervision was recognised as the key influence to worker performance for production so Management passed on to their shoulders much of the accountability and responsibility for worker safety as well. Workers themselves were then invited to actively participate in the Health, Safety & Environment Programme and assumed responsibility and accountability for not only their own safety but fellow work mates as well. The primary influence to the success of any Refinery Health, Safety & Environment Programme is Management’s active participation and commitment. Achieving excellence in any Refinery Health, Safety & Environment management requires the implementation of four key steps. Safety Culture is the pervasiveness of collective safe behaviours and engineered work processes that recognise the dynamic and systemic relationships between workers and their environment, which seeks to reduce the risks of operational error and uncertainty through a shared-mindset that drives an emphasis on inclusion, participation, and forward thinking of all members in the organisation. The emphasis in this definition is that Safety Culture is a state of organisational maturity that leads to commitment-based high performance. The emphasis on implementation is on the participation of the line-organisation. This is a departure from a common theme that links safety culture to a compliance policy - safety rules and regulations. The definition above focuses on bottom-up behaviours, and top-down engineered processes that are reinforced by stakeholder expectations - industry, regulatory, and workforce. Safety Culture is a product of principled leadership, an organisational culture firmly rooted in the static-engineered values of the industry, a maximised system of organisational learning, coupled with reinforcing management and labour policies. A breakdown in any single element portends to limit its effectiveness. Safety Culture is a work environment where a safety ethic permeates the organisation and peoples’ behaviour focuses on accident prevention through critical self-assessment, proactive identification of management and technical problems, and appropriate, timely, and effective resolution of the problems before they become crises. Safety Culture is a group of individuals guided in their behaviour by their joint belief in the importance of safety, and their shared understanding that every member willingly upholds the group’s norms and will support other members to a common end. Safety Culture is the product of the individual and group values, attitudes, competencies and patterns of behaviour that determine the commitment to, and the style and proficiency of, an organisation’s Health, Safety and Environment programmes. Organisations with a positive safety culture are characterised by communications founded on mutual trust, by shared perceptions of the importance of safety, and by the confidence in the efficiency of preventative measures. All employees of this refinery are fully committed to excellence in environment, health and safety performance in the conduct of business and in support of a safe, reliable and profitable operation. We believe our success in meeting our business objectives is highly dependent upon our ability to avoid loss and we will strive to ensure all our stakeholders share this understanding and commitment. We will meet or exceed all governing legislation and regulations. We will provide safe and healthy working conditions and demonstrate continuous improvement towards eliminating incidents and reducing the risk to people, environment, production and our facilities. We will achieve performance excellence through the systematic approach of Loss Management practices and the active participation of all employees and contractors. This refinery and its employees are fully committed to excellence in protecting the environment in which we work and live while achieving this refinery’s other business goals. We will comply with all laws and regulations and will minimise the effects of our operations on the environment by developing and operating our business in an environmentally responsible, efficient and economic manner. The focus of operational improvements in the oil refining industry has been more technical than social. Although the H, S & E industry as a whole has improved refinery safety dramatically over the years the improvements many refineries initially realised have in many plants reached a plateau and have been somewhat stagnant with the same incident/accident rate for a number of years. The first three steps above provide the “Tools of Knowledge” leading toward “Operating Excellence” for all Refinery Health, Safety & Environment Programmes. Operational Discipline is the continuous commitment by all refinery employees ensuring compliance with all elements of the Programme. The road to operating excellence often begins with the establishment of operational discipline, which is defined as the commitment by every member of the organisation to carry out each task the right way every time, regardless of the pressure to stay on schedule or meet deadlines. In practice, operational discipline means that personnel must take the time to complete a good pre-startup review; maintenance and process personnel must perform all the steps in an equipment isolation; business management must provide adequate time and funding to complete training; and so on. An important point to remember is that operational discipline should never be punitive and must never be “forced” on others. Its very strength comes from the personal commitment and personal discipline it takes for everyone to do every job the right way every time. Attaining this level of buy-in does require effort. But the rewards are well worth it. When operational discipline becomes an integral part of the work environment, “paper” programmes become “action” programmes that employees live and work by. We are free to achieve our goals because improvement programmes are implemented to their fullest. And we produce the quality products necessary to keep our business healthy and protect jobs, while protecting employees from injury. Management takes a more active role, leading by example, ensuring there are sufficient resources to support safety programmes and working to maintain active lines of communication throughout the organisation. Employees are highly motivated in safety efforts, sharing values and demonstrating a strong sense of teamwork. Supervisors and employees ensure that shortcuts are not tolerated, practices are consistent with procedures and documentation is always up to date. Throughout the organisation, housekeeping levels are excellent, operations and maintenance personnel take ownership of their areas, and a pride in how things are done is apparent. SAFETY extends beyond the job-site. Supervisors must remember that by protecting our workers we are also protecting families from the social costs of accidents. Value and care for your people at work as you would care for your own family. Be sure each crew member understands and follows his/her personal responsibility for the Health, Safety & Environment Programme. ANTICIPATE the risks that may arise due to changes in equipment, weather, or the scope of work. FOCUS on demonstrating professional work habits and setting consistent expectations of your workers. ENCOURAGE and coach your workers on the importance of reporting hazards or near-misses, and their active participation in the Health, Safety & Environment Programme. No job schedule is more important than worker health and safety. Encouraging worker participation will ensure schedules are met without compromising health or safety along the way. TEACH your workers the correct use of safe work practices and procedures as work progresses, as you would your own family – with persistence and patience. YOUR active participation in the corporate Health, Safety & Environment Programme is required in order for us to achieve the level of health, safety and environmental performance required to achieve our goals.